A CRITICAL incident investigation is under way into the sudden death of decorated Albury police officer Glenn Stirton. 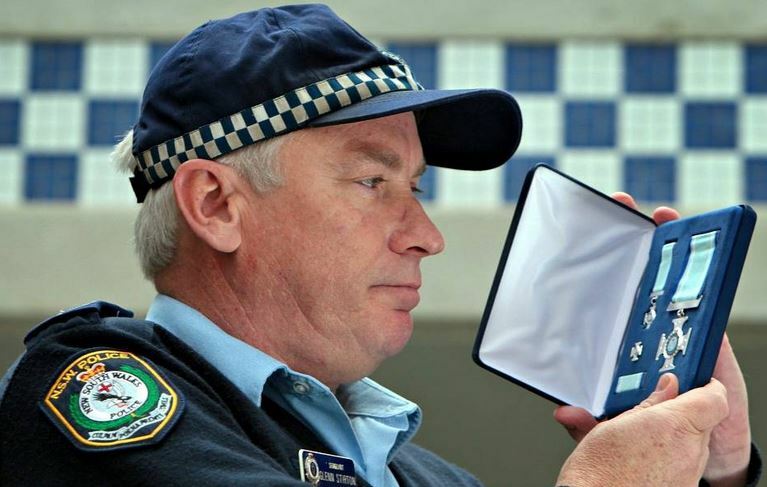 Sgt Stirton, a police officer for more than 30 years, died after an incident at the Albury police station on Thursday. 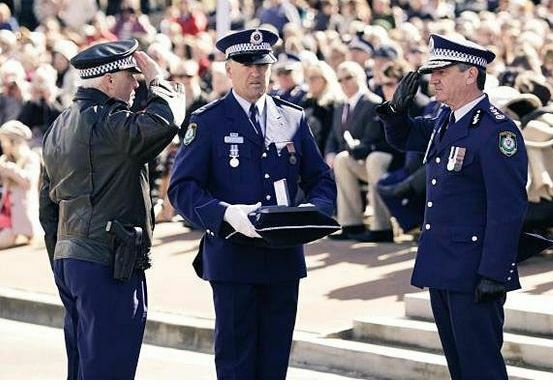 In August, Sgt Stirton received the highest honour for bravery that can be conferred by the NSW Police Commissioner for foiling what police suspect was destined to be a massacre. Sgt Stirton is the husband of Albury local area commander ( Supt. ) Beth Stirton, who has gone on immediate leave. Three ambulance crews rushed to the scene after an emergency call from the station. Officers from the Deniliquin local area command will investigate the circumstances of Sgt Stirton’s death and prepare a report for the coroner. Acting Southern Region commander Gary Worboys said the force extended its deepest sympathy and condolences to Sgt Stirton’s family “and the wider police family”. “Welfare support and counselling has been offered to the officer’s family and colleagues. Police will continue to do their job in this difficult time,” acting Assistant Commissioner Worboys said. Wagga Superintendent Dave Simmons has been brought in to assist the command. From Monday, Detective Insp Brad Blanchard will act as Albury local area commander while Supt Stirton is on leave. Sgt Stirton’s bravery was outlined when Police Commissioner Andrew Scipione presented the NSW Police Force Valour Award to him during a ceremony at the police force academy at Goulburn. Sgt Stirton and a colleague had gone to get lunch at the Eastwood Shopping centre in Sydney’s north in 2008. While on their way, they were asked to check on reports of a man acting suspiciously at the centre. Sgt Stirton and his colleague followed the man out of the centre and asked him to stop. He ignored their directions, pulled a pistol from his waistband and fired at the officers, narrowly missing the pair, who returned fire. The man, Christopher Benardos, turned the gun on himself, and later died in hospital without regaining consciousness. “It was nice to be recognised, although it is under tragic circumstances,” Sgt Stirton said at the time of the award. Sgt Stirton transferred to Albury six months ago to join his wife. If you need help, telephone Lifeline: 13 11 14, Kids Help Line: 1800 551 800, NSW Rural Mental Health Support Line: 1800 201 123, Upper Hume Community Health Service: 1800 657 573. Sergeant Glenn Stirton has been honoured with a valour award. A POLICE officer, who dodged bullets to protect Sydney shoppers from a shooter four years ago, has been honoured with a valour award. Sergeant Glenn Stirton ran at an armed offender at an Eastwood shopping centre on March 10, 2008. He and his partner narrowly missed several shots fired their way. They returned fire but the shooter turned his gun on himself and later died from his injuries. NSW Police Commissioner Andrew Scipione presented Sgt Stirton with the Valour Award, the highest honour an officer can receive for bravery, at last week’s attestation ceremony at the Goulburn Academy.